The general increase in prices of commodities in the country slowed down in December to 5.1 percent year-on-year, the Philippine Statistics Authority (PSA) announced on January 4, Friday. This is a further decline from the previous month’s inflation rate of six percent, but still remarkably higher compared to December 2017’s 2.9 percent. 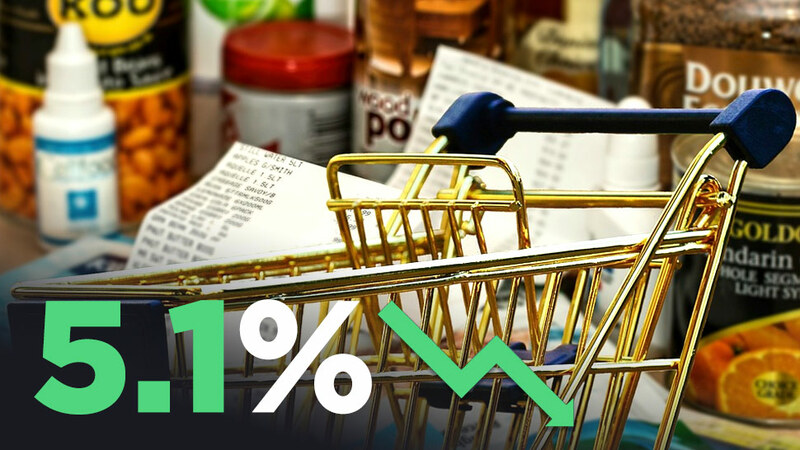 The slowdown of the increase in prices in December was mainly driven by the slower annual inflation in the indices of food and non-alcoholic beverages at 6.7 percent and transport at 4.0 percent, the PSA reported. On the other hand, higher markups were noted in the commodity groups of clothing and footwear at 2.8 percent and health at 4.8 percent. This brings the average inflation on the national level for the whole of 2018 to 5.2 percent, up from just 2.9 percent in 2017. This is well above the government’s annual target range of just two to four percent. “Compared to 2017 average rates, the annual average hikes in 2018 were higher in the indices of all the commodity groups, except for clothing and footwear, communication, and education,” the PSA wrote in its report. The annual average inflation in 2018 for clothing and footwear, and communication remained the same as in 2017, while average inflation for education fell by 0.8 percent from 2.5 percent. Prices of commodity goods in the country saw continuous upticks last year, from just 3.4 percent in January to a high of 6.7 percent in the months of September and October. It only started slowing down for the first time in the year in November. On the regional level, the increase in prices also slowed down in all areas including the National Capital Region in December compared to the previous month. The lowest annual mark-up was recorded in Cordillera Administrative Region at 3.4 percent, while the highest was in the in Autonomous Region in Muslim Mindanao at 7.5 percent.